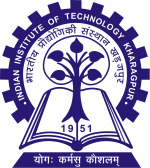 In this course, Professor Sudeshna Sarkar and Professor Anupam Basu, Department of Computer Science & Engineering of the Indian Institute of Technology - Kharagpur, give an introduction to the concepts of Artificial Intelligence, such as Intelligent Agents, State Space Search, Informed and Uninformed Search, Two Players Games, Knowledge Representation, Interface in Propositional Logic, First Order Logic, Reasoning, Rule Based Systems, Semantic Net, Frames, Planning, Fuzzy Reasoning, Natural Language Processing and many more. The original name for this course is: Computer Sc - Artificial Intelligence. This course has 40 video lectures on Artificial Intelligence, by Professor Sudeshna Sarkar and Professor Anupam Basu, Computer Science & Engineering, I.I.T, Kharagpur (NPTEL). Professor Sudeshna Sarkar in Lecture 17: Rule Based Systems II. Jayashree wrote 7 years ago. kapchoko wrote 7 years ago. praveen kumar wrote 8 years ago. Hima Bindu wrote 8 years ago. gobena wrote 9 years ago. ehsansaano wrote 9 years ago. This is very help full lecture, specially for beginners. Ehsan karim wrote 9 years ago. all who make this possible, specially madam.